Pilgrimages are as old as the Christian faith itself. Just like the first students were on the road with Jesus, people (literally) go on the road with Him up to the present day. In this respect, the road is a goal by itself, because they are on the road with Him, who called himself ‘the road, the truth and the life’ (Gospel of John, chapter 14, verse 6). At the same time, the end goal of the journey is not random: it is usually a place of pilgrimage, dedicated to Maria or asaint (martyr). A place where one can intensely meet Christ again in the life of the saint and in all fellow pilgrims. 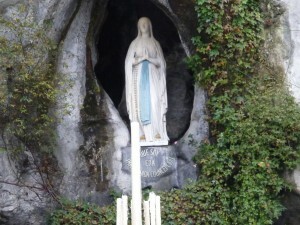 Since 1985, there is a department of the Lourdes work in the Krijtberg. 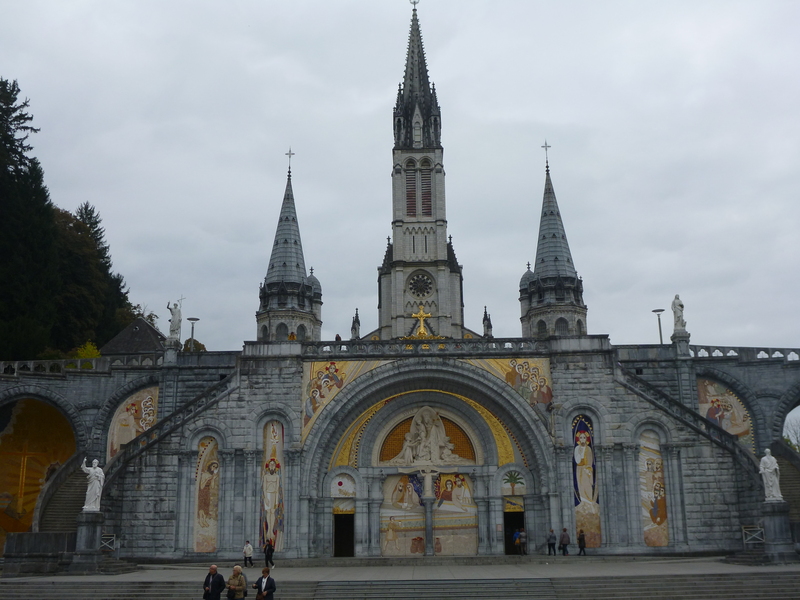 This department strives to promote the pilgrimages to Lourdes and also to organize them. The tours are programmed by the Association National Pilgrimages (VNB) in Den Bosch. 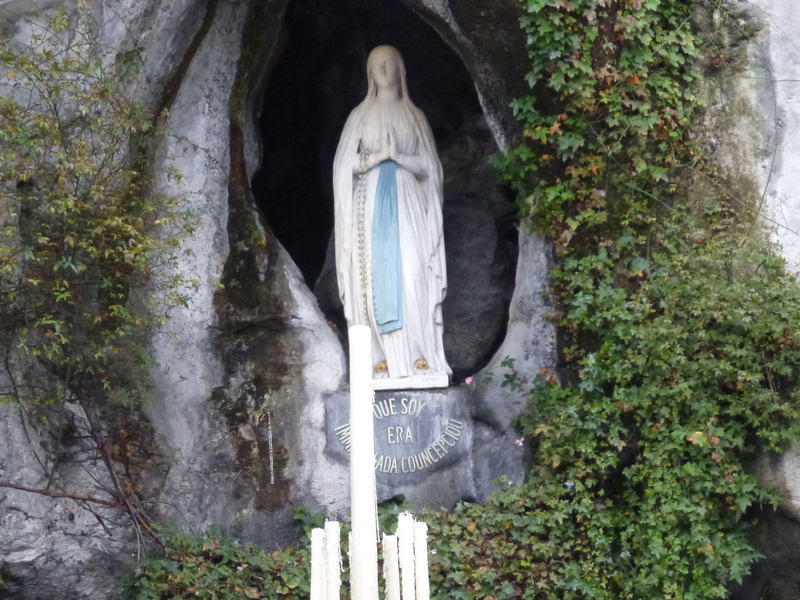 We also organize our yearly Lourdes celebration, around the date of February 11th, with a candle procession in the Krijtberg. This is when we commemorate the first appearance of Maria to Bernadette Soubirous in 1858. The offertory of this mass is entirely for the benefit of the Krijtberg-Lourdes committee, to be able to bring those pilgrims to Lourdes, who can not afford the journey in its entirety. We [mist in brontekst] also support a guide with this money, who comes along to accompany a pilgrim in a wheelchair. You can find us in the church with the sale of second-hand religious items, regularly throughout the year on Saturdays. These proceeds will also go to this goal. We also maintain contact with the churches of the inner city parishes to coordinate details. Since a couple of years, we also go to other destinations, like Rome or a tour along multiple holy places in France. If you would like to support the Lourdes work of the Krijtberg, you can make a donation to the bank account number below. Among other things, this fund financially supports the pilgrimage of the less fortunate. Warmly recommended. Bank account number of Lourdes work, via the VNB NL54 RABO 0111 555 000 in the name of VNB Nationale Bedevaarten Postbus 273, 5201 AG Den Bosch. Please mention ‘Rekening Courant 001944 afdeling Krijtberg’.